How do you run a successful lead generation campaign in today’s competitive environment with higher lead conversion and what are the common challenges? The ‘Holy Grail’ for many businesses is how to find more consistent and high quality qualified leads generated through multiple marketing methods and channels, with less cost invested and reducing the sales cycle. Do you still cold call, run targeted events or invest in digital marketing automation or both to generate great leads for new business development initiatives? We’ve spoken to many people in various roles in businesses, and marketing agencies, and discovered there is a wide range of language used and ideas about what a lead is, how to generate leads, and how to nurture leads. This can cause confusion and friction between marketing and sales teams, and discrepancies between expectations and results. While this varies across industry and sector, we commonly see a gap at the handover process; leads that marketing teams generate and qualify (MQL’s) often don’t align with the lead characteristics for sales qualified leads (SQL’s). A lead can be a contact point identified, a touch-point or interaction with the prospect at a very low level or a telephone number or email address obtained amongst different organisations within marketing. A lead, in a marketing context, is a potential sales contact: an individual or organization that expresses an interest in your goods or services. Leads are typically obtained through the referral of an existing customer, or through a direct response to advertising/publicity. A company’s marketing department is typically responsible for lead generation. 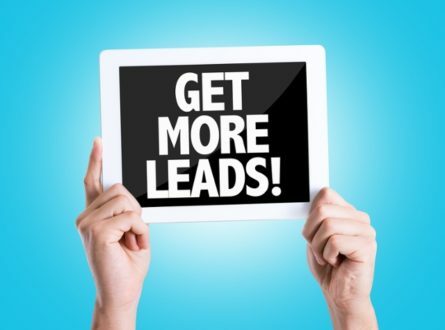 A lead generated is a marketing qualified lead (MQL), meaning it’s a contact point or touch-point that we have reached on the phone or via email. We have managed to contact the prospect, have a discussion, uncover a need or pain point or interest area according to a number of defined qualifying criteria questions, before proceeding to attempt to set an initial phone appointment or face to face appointment for the sales representative handover to start the sales engagement. How do you actually generate leads? Client feedback often suggests that traditional marketing agencies coordinating lead generation campaigns (think B2B telemarketing) focus on ‘marketing’ leads which can run quite shallow, typically only ticking-off a basic requirement of the campaign. An effective marketing to sales lead handover though generally requires deeper qualification to progress engagement with the prospect. I challenge you to think about working smart, not just working hard. Seek quality leads over quantity of leads. Rather than having your telemarketers/agents make 150-200 calls per day at the industry success (appointment conversion) rate of less than 3%, make 50 great calls and convert upwards of 10%. From many years in sales within the ICT technology sectors, often there was a disconnect in organisations between marketing leads handed over to sales representatives when there was little qualification that amounted to a waste of time in terms of actual real sales opportunity. Marketing had fulfilled their requirement to create demand with generating leads with one set of KPI’s and then sales teams would take a negative perspective on the types and quality of the leads given to them to follow up. Does this sound familiar? What I challenge the marketing campaign providers and our clients on is firstly taking the time to appreciate the lead generation process, for example considering an outbound telemarketing campaign. We discuss what the typically sales cycle of the products/ services being sold is and then spending more time delving into more required skills and knowledge to operate on a quality over quantity basis for lead generation with higher value products and services. Establishing rapport and trust with the prospect quickly over the phone through knowledge and conversational skill will contribute to being better able to qualify the marketing lead before handover to sales. We’ve highlighted the need to explicitly outline your organization’s definition of a lead, between and across both the marketing and sales platforms within your business, even before your marketing or calling team even begins to reach out to prospects. Ensure there is organization-wide agreement on what constitutes a MQL and the process(es) required to progress the lead to be a SQL (sales qualified lead) for effective and successful handovers from marketing to sales. If you are interested in a progressive or different way to address effective lead generation, or open to exploring further specific new business development strategies, methods and processes from both a sales and marketing (smarketing) perspective, please contact us for a confidential discussion. In the meantime please look out for our next related blog article later this week : Part 2: There are leads and there are leads – Good lead generation tips.